President Muhammadu Buhari has arrived in Bauchi State on a two-day working visit. 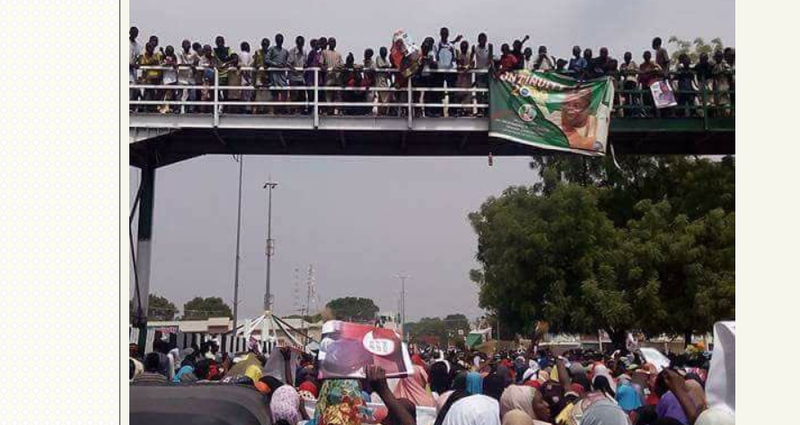 The presidential plane touched down at the Sir Abubakar Tafawa Balewa International Airport, Bauchi at about 10:20 am on Thursday with thousands of supporters waiting to get a glimpse of him. Here is a photo of a pedestrian bridge crowded with people just to get a glimpse of The president's convoy.